Real-time inventory visibility. 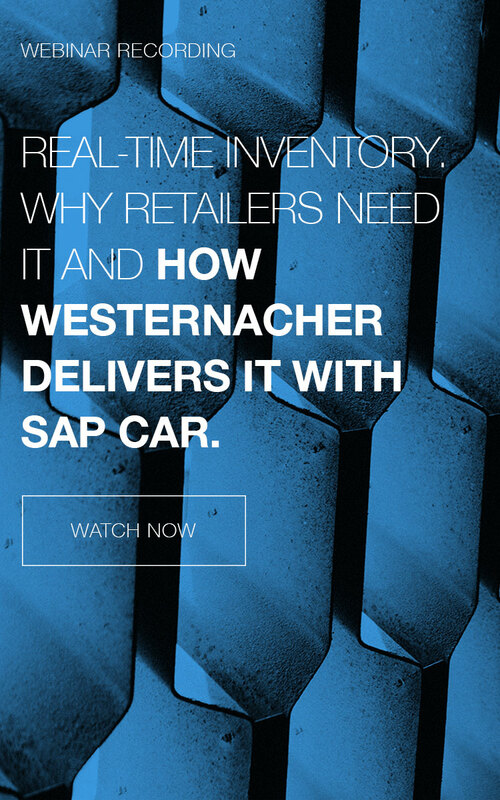 Why retailers need it and how Westernacher delivers it with SAP CAR. Having visibility across all sales channels can be quite challenging due to system breaches and heterogeneous system landscapes. The SAP Customer Activity Repository can help to track sales and inventory across all channels and can monitor exactly what is in stock at every location, whether that location is a bricks-and-mortar shop or an online store. All of this is possible in real-time. Empowering the digitalization of your sales and replenishment processes can be very easy with Westernacher and SAP Customer Activity Repository (CAR). In today’s online world, customers take it for granted that the shops they go to have an online presence as well as a physical one on the high street. Moreover, they do not see these online storefronts as being any different to the real ones: as far as they are concerned, there is a single retailer and they are buying from the same person, whether it is in the store or on the app. They expect a seamless experience between the two. Unfortunately for the retailer, this is not that easy behind the scenes. Bricks-and-mortar shops and online stores are all run independently of each other during the day, only updating the retailer’s IT systems overnight. When the customer asks in a store whether an item is available at another branch location, or wants to buy an item that is out-of-stock as far as the online store is concerned, the retailer’s systems can do little more than make a best guess. The SAP Customer Activity Repository provides certainty: it continuously tracks sales and inventory across all channels and can tell us exactly what is in stock at every location, whether that location is a physical shop or an online store. How it can do this – and how you, not only as a retailer, can make use of it – is explained in this webinar. The goal is to provide the customer with the seamless omnichannel experience that they expect. If there are specific questions or topics that you or your team would like to discuss, please do not hesitate to reach out. We are always excited to share our knowledge.